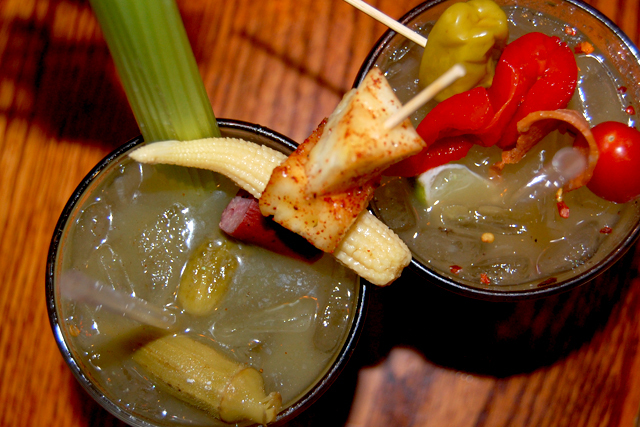 Getting older hurts a lot less if you’re drinking a bloody mary. At least that’s our theory. 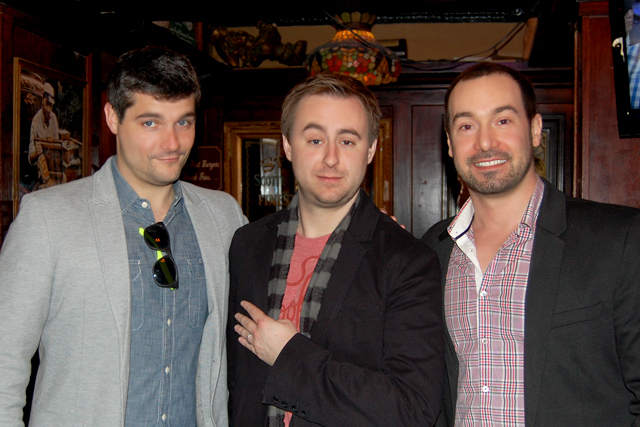 And we tested out said theory a few weeks ago at Cafe Ba-ba-reeba when one half of this duo turned another year older. 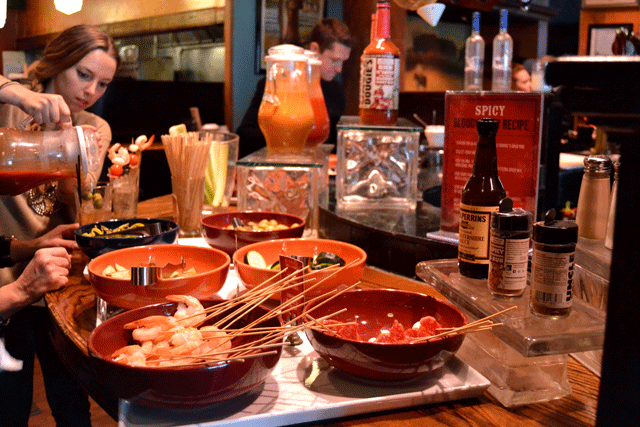 We’d heard tons about the famed bloody mary bar at Ba-ba-reeba. 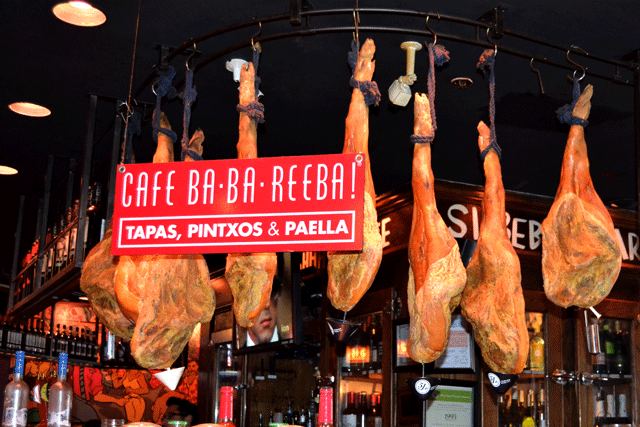 And tapas here are pretty much standard with out-of-town visitors. Birthday brunch no-brainer. 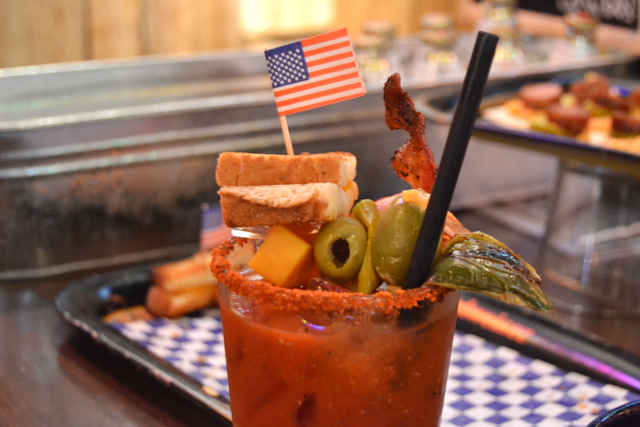 As far as bloody mary bars go, this is a pretty great one. It starts off like most others. You get a glass of ice and vodka. 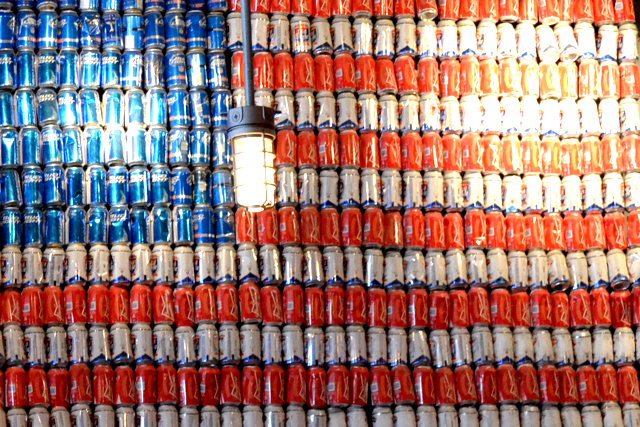 And here, you actually get to pick your generous pour. We both went with Absolut Peppar. Because delicious. Next, you pick a mix. Options include organic tomato juice, gazpacho and Uncle Dougie’s Torpedo Juice. Then you customize with fixings, hot sauce and garnishes. Speaking of fixings, just the right amount. Not too overwhelming. Lemon juice, lime juice, Worcestershire, beef broth, Revolution beer, to name a few. 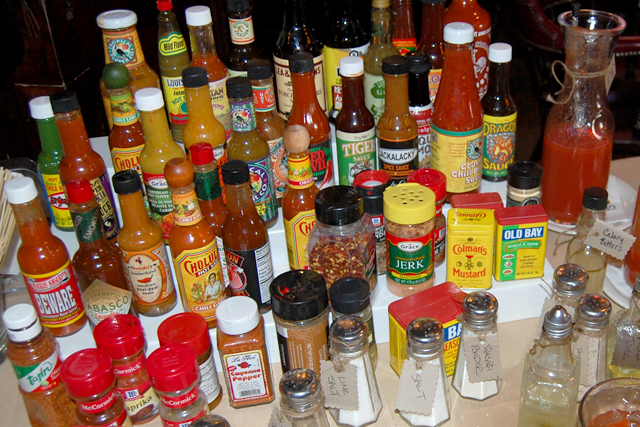 And if you lose your way while dressing up your bloody mary, recipe recommendations are readily available. For your mix, we’d recommend going with Uncle Dougie’s Torpedo Juice or the organic tomato juice. Or a mixture of both. Yum. The gazpacho was a bit on the watery side. 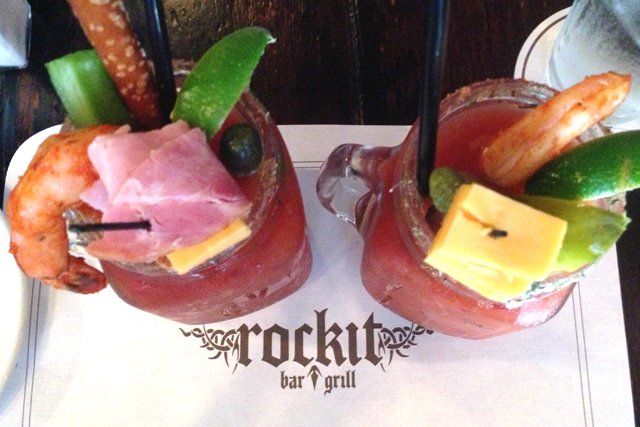 Here’s where we’d rate the bloody with our scale, but that would be just vain since we made these ourselves. 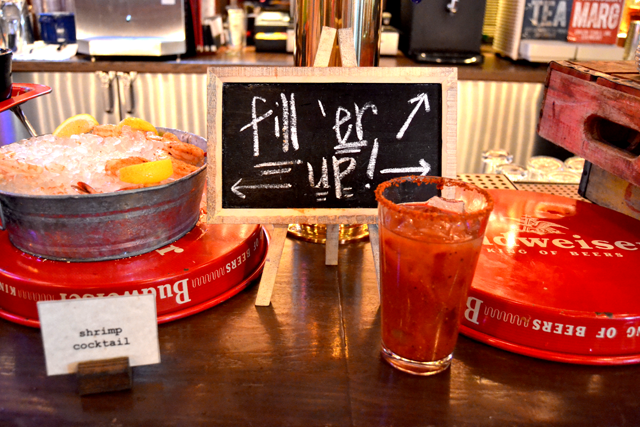 Maybe create a whole new scale for bloody mary bars? What should the criteria be? Holler at your girls. Cafe Ba-ba-reeba is located at 2024 N. Halsted. 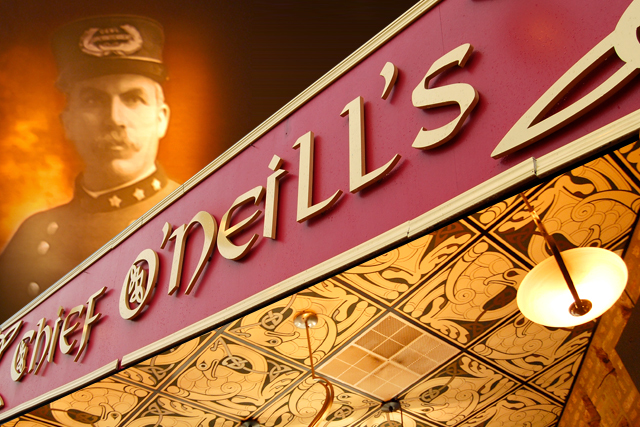 All things we had all heard about Chief O’Neill’s prior to enjoying brunch there. Of course, the day we went, it was raining. So, the patio was a no-go. We were seated in “the attic,” the dark, slightly moody upstairs dining room. 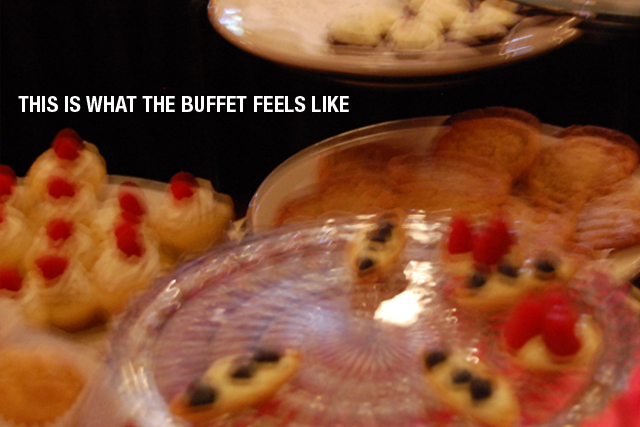 In retrospect, the attic is the ideal setting for shamefully gorging yourself on a brunch buffet. Easier to hide awkward food pairings or just how much you ate. It’s still hard to wrap our heads around the smorgasbord of food options. 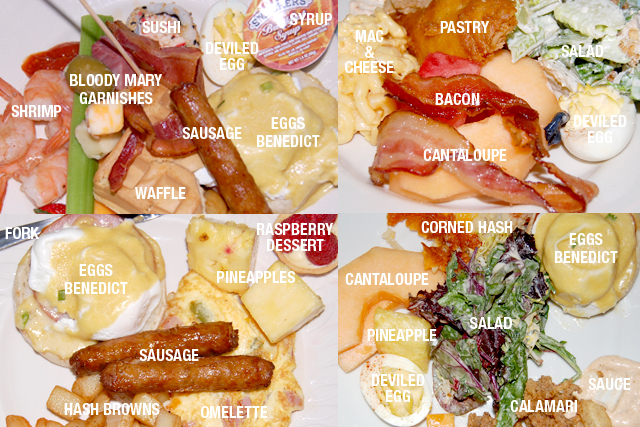 Most of which were not native to brunch. 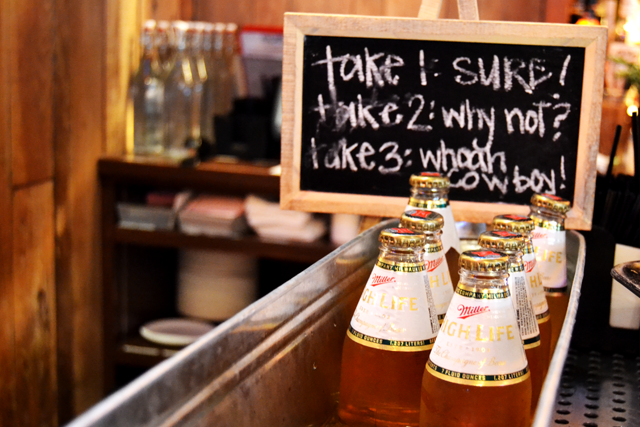 The best part of the brunch experience? You’re encouraged to eat all of your favorite foods. Together. 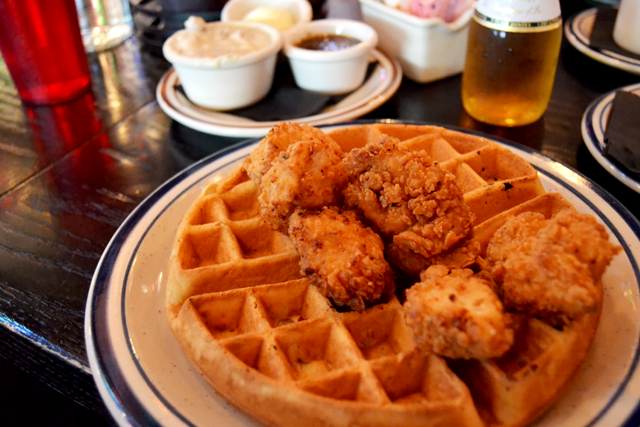 Love waffles with a side of sushi? Done. 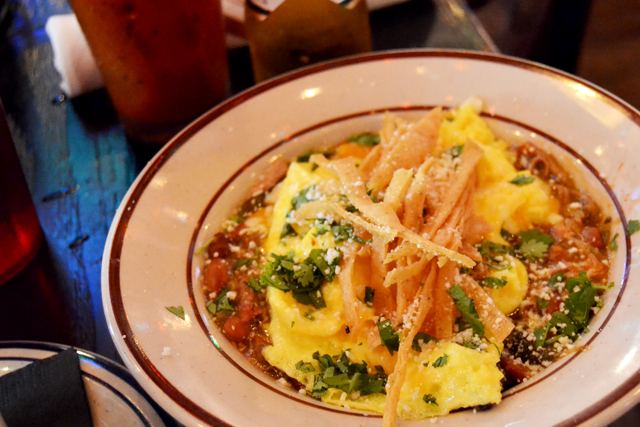 How about an extra bacon omelette paired with calamari with mac and cheese? You got it. Yeah, this happened. All of it. “It’s like the Disneyland of food,” was the most apt observation of the morning. Not pictured in the spread: Ham carving station, Guinness and cheese soup, fish and chips, pasta salad, tacos. The list continues. But it gets even more amazing. There’s a dessert bar with all of this. There are not one, but two chocolate fondue fountains with sweets for dipping. 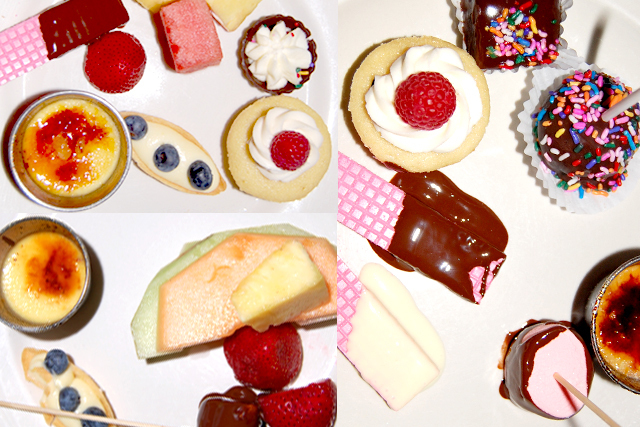 Plus, fruit, mini creme brulee (personal fave), brownies, cookies, tarts, cake pops, cupcakes, cream puffs, pastries. All freshly made in house. 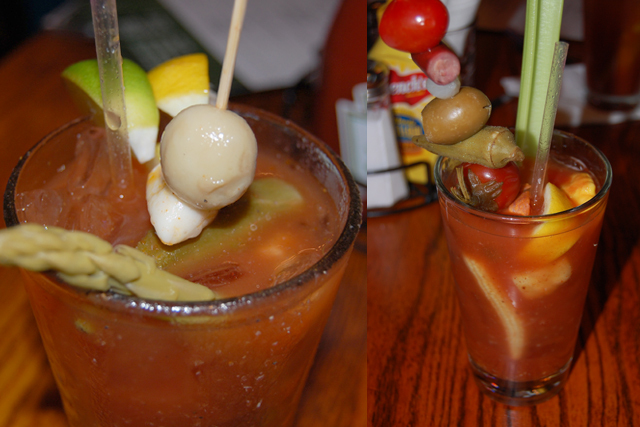 Oh yeah, they serve bloody marys, too. Chief serves a solid bloody. 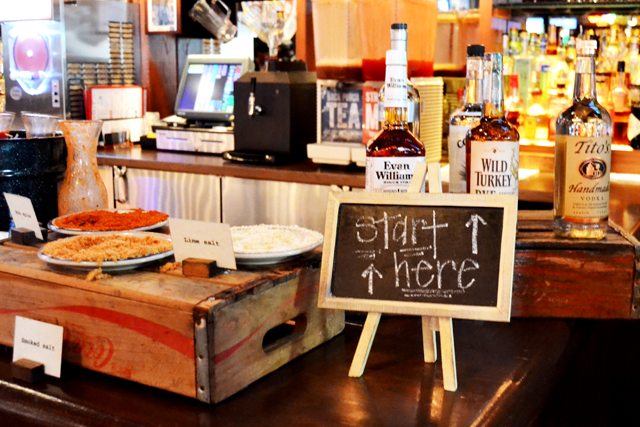 We were told it was a build-your-own bar, but in actuality, it’s more of a garnish-your-own bar. 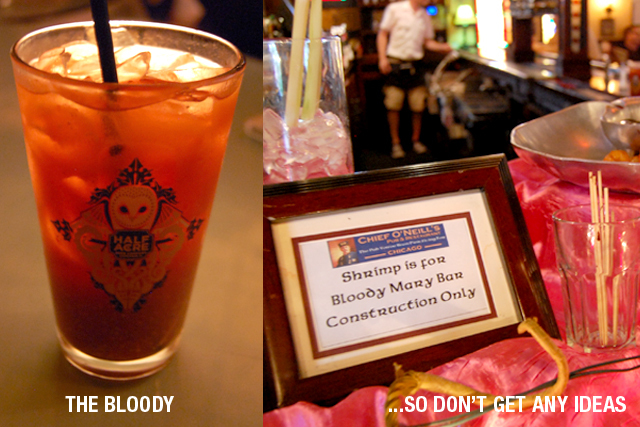 They bring the bloody to your table, complete with a housemade mix and vodka. The mix itself is nicely spiced with notable horseradish, parmesan cheese and pepper flavors. It’s up to you how you want to top it off. 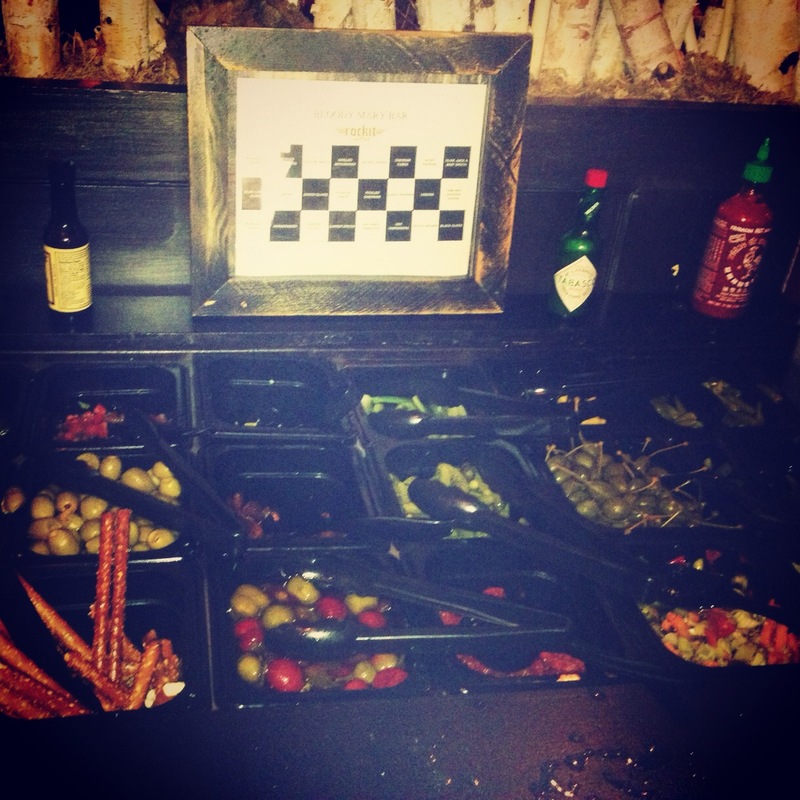 And there’s yet another bar with garnishes including cheeses, olives, celery, shrimp, hot sauce and worcestshire sauce. But let’s be honest, Chief O’Neill’s has a full cast of characters. 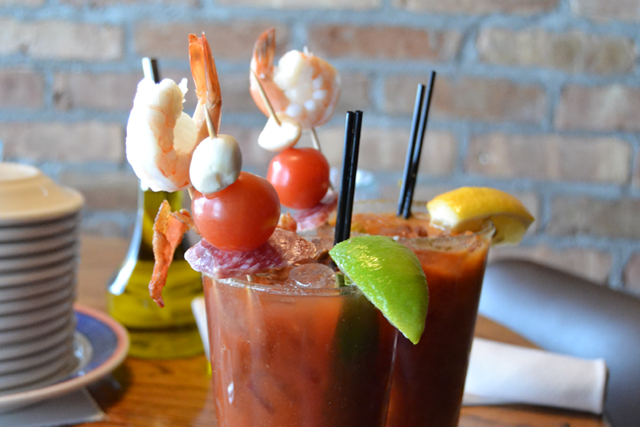 And the bloody mary simply plays a supporting role. 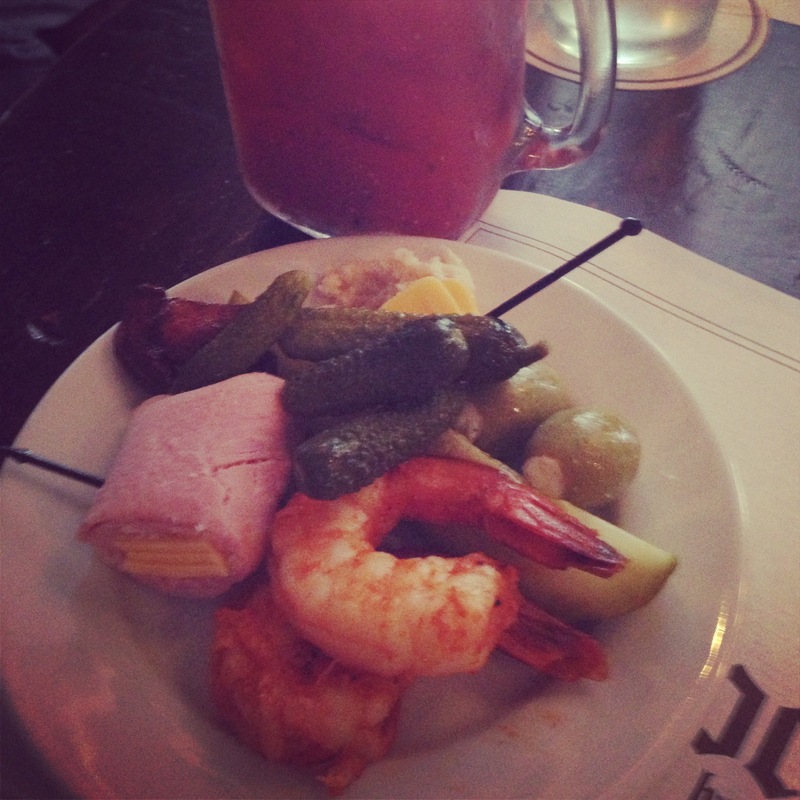 By all means, get thee to Chief O’Neill’s for the brunch buffet and a bloody. Sit on the patio we didn’t get to enjoy.